The best of the best, Banyan Tree Grand Residences acclaimed at the International Property Awards. Phuket – 19 April 2017 – Banyan Tree’s Grand Residences on the white sands of Bang Tao Beach on the west coast of Phuket has achieved an accolade befitting its grandeur, winning the coveted International Property Award 2017-2018 for the “Best Residential Property in Thailand”. BRISBANE – April 19, 2017 – Banyan Tree have been awarded three prestigious titles at the 2017 International Property Awards for their luxury branded residences project in Brisbane, Australia and Phuket, Thailand. The highly sought-after, industry-led accolades were awarded to the Banyan Tree Residences Brisbane in the categories of Best Apartment/Condominium for Australia and Best Development Marketing as well as Best Residential Property for Thailand for the Banyan Tree Grand Residences development in Phuket. Launching late last year, news of Banyan Tree’s first-ever branded residences project in Australia was very well received with buyers in the local and international markets. Perched atop the river city’s iconic Kangaroo Point Cliffs, the unprecedented location and attention-to-detail across the suite of premium inclusions set a new benchmark in high end residential. Banyan Tree Residences Brisbane is a boutique development of only 76 luxury two and three bedroom apartments including 3 magnificent penthouses starting from an affordable $795,000 offering large living spaces and balconies, unrivalled views of the river, CBD and botanical gardens, Owners will also enjoy the service and amenity for which Banyan Tree is renowned for at its hotels and resorts which includes a 24-hour Banyan Tree concierge service, Banyan Tree Spa and Gallery, a premium restaurant and resident gymnasium on the ground floor, an expansive secure underground car park, coupled with an exclusive rooftop garden, private function room, barbeque facilities, and an expansive infinity pool for residents. A fully fitted out display suite is situated at 48 River Terrace, Kangaroo Point. Residents will also enjoy proximity to some of the city’s best dining and cultural precincts, as well as schools, universities, hospitals and transportation. Owners of Banyan Tree Residences Brisbane will also enjoy a one week free accommodation for 5 years in exclusive Banyan Tree resorts in exotic locations such as Thailand, Indonesia, China, Vietnam, Maldives and Seychelles, as well as exclusive discounts and privileges through the group’s global network of resorts and spas through its signature owners’ recognition program – The Sanctuary Club. 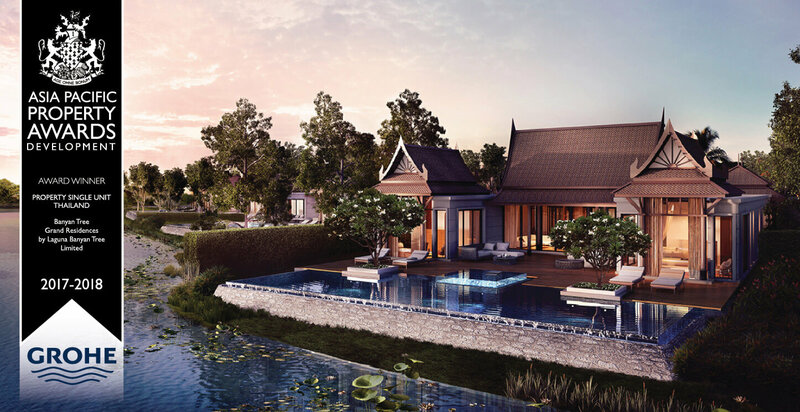 The Banyan Tree Group is creating a new dimension in resort style living with its first branded condominiums in Thailand under the Angsana brand. This is one of the last investment opportunities in an absolute beachfront property on Phuket’s preferred west coast and on Bang Tao beach itself within Laguna Phuket, with a unique option for the condominiums to be managed by Angsana Phuket Resort. The first astute investors to capitalise on this opportunity will discover exclusive freehold properties configured to take full advantage of beachfront frontages. Just metres from the sea, these are designed in a unique Thai architectural style to blend with their lush tropical surroundings. With only two apartments per floor every residence offers expansive internal and external living areas. 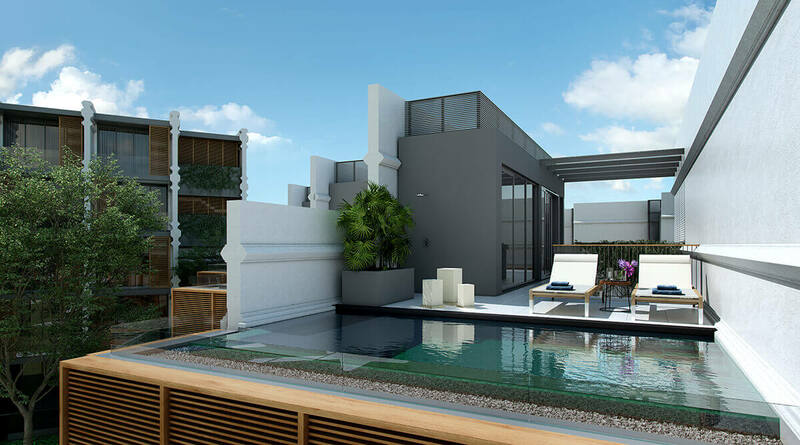 Each condominium even boasts its own private pool at the fringes of its broad outdoor patio. There is also secure parking for residents and their guests. 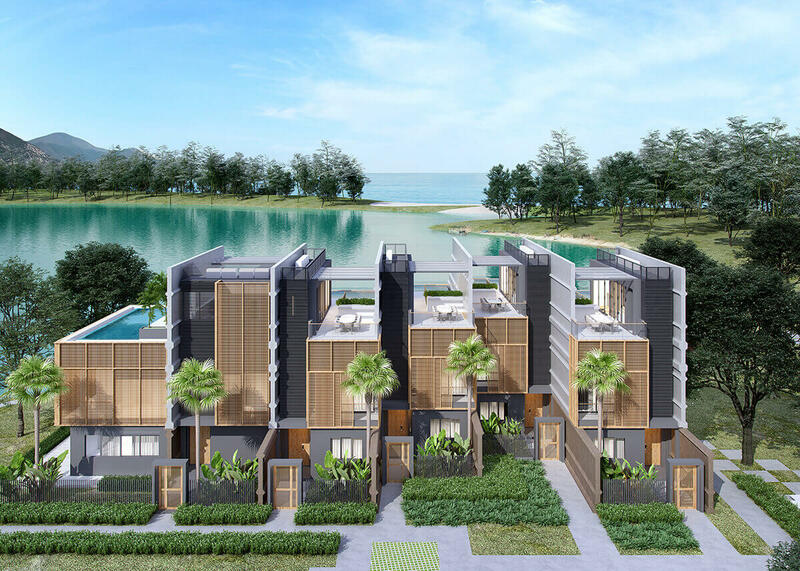 With a range of spacious configurations to consider, including from two to three bedrooms, Angsana Beachfront Residences provide tailored investment options for discriminating buyers. All this is even more remarkable when they step outside their new investment property and take in everything their Laguna Phuket neighbourhood has to offer. They are on the doorstep of Asia’s premier luxury resort destination. With ownership of a Beachfront Residence, Angsana brings an additional world of luxury. This encompasses privileged access to the Sanctuary Club, a global network with more than 40 resorts and hotels, in excess of 60 spas and 80 retail galleries. This array of exclusive offers and privileges includes membership of the championship Laguna Phuket Golf Club, voted “Thailand’s Best” in the 2015 World Golf Awards. This is a unique area where modern shopping centres and art galleries, international schools and world-class hospitals are neighbours to the heritage “old” Phuket town and the vibrant nightlife of Patong. With a wide array of sophisticated restaurants and bars all connected by transport facilities, Laguna Phuket boasts all the qualities that attract the world’s most selective travellers. Owners will also have peace of mind from dedicated management of their condominium by Angsana, along with an array of services and amenities including a villa host. Angsana can take care of cleaning, gardening, pool servicing and all ongoing grounds and villa maintenance. Plus Angsana’s dedicated expertise can work to every owner’s advantage with the option of renting the condominium on either a short or a long-term basis. Prospective owners are invited to visit the fully appointed Show Unit. This will give them a new perspective on how this combination of luxury lifestyle and investment potential can be used to their advantage. BRISBANE – August 17, 2016 – Brisbane’s growing reputation as a New World City has been reinforced today with Banyan Tree Executive Chairman Ho Kwon Ping and Lord Mayor Graham Quirk officially launching the group’s first ever Banyan Tree project in Australia. 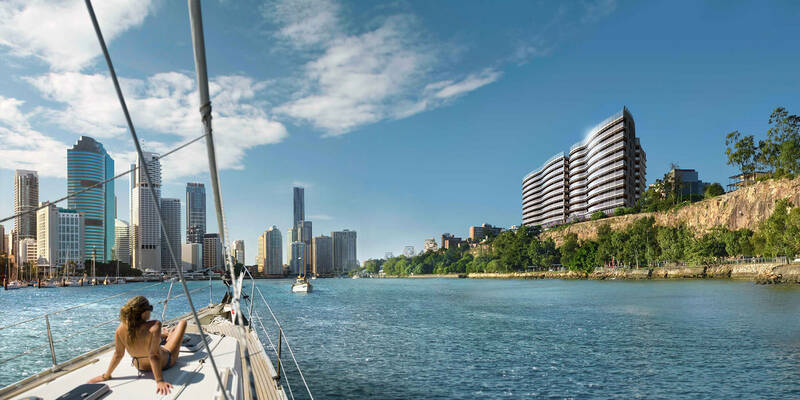 The iconic site atop the Kangaroo Point cliffs offers panoramic views across the river city, which has proved to be a major drawcard, along with an unprecedented level of features and inclusions that has not been seen before in the luxury residential market. While the Brisbane residences have a unique aesthetic to others in the Banyan Tree stable, there is commonality with a number of key elements for which the brand has become synonymous including a 24-hour onsite concierge, Banyan Tree Spa and Gallery, providore-style food offering on the ground floor and rooftop gardens and infinity pool. Interest and sales in the $150-million-dollar development have been strong, with over a quarter of the 76 private residences sold in the pre-launch period to a mixture of local and interstate buyers as well as current Banyan Tree owners. Coinciding with the official launch, the Queensland headquartered Watpac are in line to be announced as the successful tender to oversee the construction of the project. Over 500 jobs will be created during the works slated to commence in Q4 of 2016 and to be completed in early 2019. In addition to jobs created through construction, Banyan Tree Residences Brisbane will also have ongoing employment opportunities for the 24-hour concierge, signature retail store, award-winning Spa and maintenance teams as well as for the onsite food and beverage venues. 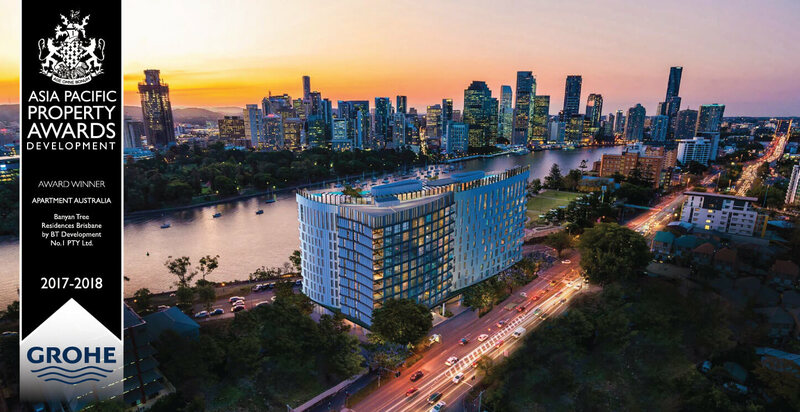 Cr Quirk said Banyan Tree’s decision to choose Brisbane as its first Australian destination to invest was a major vote of confidence in our New World City. “The Brisbane 2022 New World City Action Plan released last year recognised and prioritised foreign direct investment into our city as a key economic driver for jobs, over the next seven years. Banyan Tree has also unveiled an outstanding display suite adjacent to the construction site, which offers prospective buyers a preview of a full-scale two-bedroom residence showing off the voluminous space, premium finishes and attention-to-detail. The holistic offering for owners includes 24-hour Banyan Tree concierge service, onsite Banyan Tree Spa and retail Gallery, premium dining venues and an exclusive rooftop garden with private function room, barbeque facilities, daybeds and an expansive infinity pool. The property will also feature additional gymnasium, and a secure underground car park. Residents will also enjoy proximity to some of the city’s best dining and cultural precincts, as well as schools, universities, hospitals and transportation. As part of the all-encompassing lifestyle experience, Banyan Tree Residences Brisbane owners will receive access to the range of premium Banyan Tree services. These will include membership to the Banyan Tree Sanctuary Club, which entitles them to exclusive discounts and privileges through the group’s global network of resorts and spas and access to the Banyan Tree Private Collection, an exclusive destination club with a portfolio of villas in stunning locations like Tuscany and Provence. 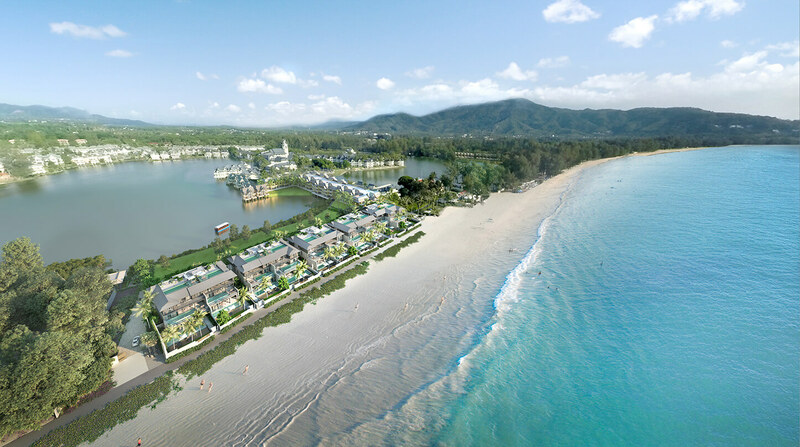 In addition to the Brisbane development, Banyan Tree have also invested in a prime beachfront site on the Gold Coast. Located in the heart of Surfers Paradise, this will be one of the group’s largest undertakings to date and see the introduction of more of its award-winning brands to Australia along with an opportunity for potential joint venture partners to secure a stake in this significant project. 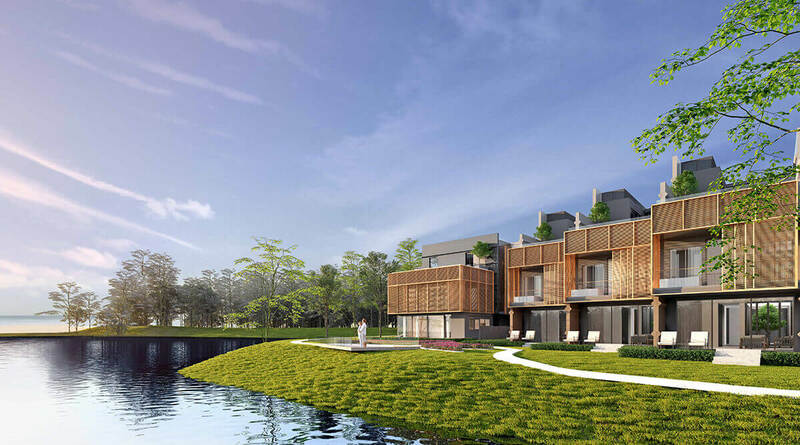 Phuket, Thailand – Laguna Phuket have announced they will be staging an exclusive one-day property expo at the Hyundai Hotel in Vladivostok on 5 October 2015, with the Thailand-based developer bringing its portfolio of exceptional resort homes to the Russian city. The event will offer Russian investors a chance to discover unique opportunities to own a property within Asia's multi-award-winning integrated resort complex in one of the world's most sought-after locations on the island of Phuket. “Phuket is the wealthiest province in Thailand, and the property market is still growing. In terms of connectivity, the island is home to the country's second-busiest international airport, which offers travellers the convenience of direct flights to a number of global destinations without having to transit through Bangkok. The island is well known for its comfortable and convenient tropical lifestyle, with amenities and entertainment options for everyone from short-term visitors to resident families and long-term retirees. An increasing number of Russian visitors are becoming homeowners at Laguna Phuket, so the event in Vladivostok offers us a unique opportunity to present to potential investors a chance to own a piece of paradise,” said Stuart Reading, Vice President and Head of Property Development for Laguna Phuket. The expo will provide an opportunity to learn more about the lifestyle benefits that come with owning a property at Laguna Phuket. In addition to its prestigious address, the oceanfront Laguna Phuket integrated resort complex offers residents numerous world-class facilities and services, including luxurious spas, fine restaurants and bars, , a beach club, island excursions, retail galleries, a boutique shopping village, an 18-hole championship golf course and a pristine beach fronting the azure waters of the Andaman Sea. Owners of Laguna Phuket properties are also entitled to an array of discounts and privileges throughout the Banyan Tree Group's collection of award-winning hotels, spas, and galleries in 28 countries around the world. Perhaps most importantly, buyers enjoy peace of mind at Laguna Phuket, which is owned and managed by one of Southeast Asia's most reputable developers with a proven track record that spans more than 28 years. The company has sold more than 1,000 properties to date, with numerous phases in the Phuket development achieving sell-out successes to local and international buyers. The luxury properties in the Laguna Phuket portfolio include exclusive Banyan Tree Grand Residences,, the gated residential estates of Laguna Village and Laguna Park and affordable Cassia hotel managed serviced apartments. Prices start from just USD 160,000. For more information on this exclusive event or to arrange a private appointment, please contact us via Russian free call number 8-800-1009661, email rus@lagunaproperty.com or visit www.lagunaproperty.ru. Banyan Tree Residences has expanded its portfolio by launching its first wholly residential property within Laguna Phuket and adjacent to the flagship Banyan Tree resort on Phuket’s prime west coast location of Phuket, only 20 minutes away from Phuket International Airport. Strategically positioned to overlook the alluring beauty of lagoons along the sophisticated waterfront abode, the 5-bedroom residential project consist of only 19 exquisite villas that are in close proximity to Bang Tao beach as well as the wide range of recreational facilities within the Laguna Phuket integrated resort environment. 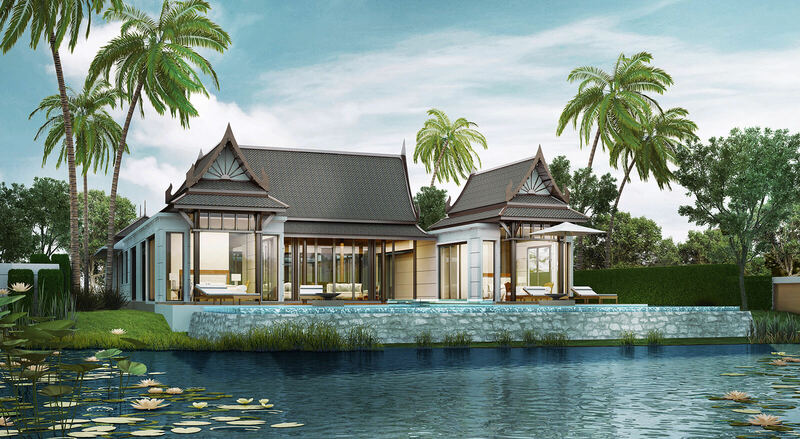 The Banyan Tree Grand Residences project is built in a modern contemporary architectural style with strong traditional Thai influences, providing absolute privacy and tranquillity to homeowners. Designed to the standards and quality for which Banyan Tree has become renowned for, each villa presents capacious living areas with a total base area of over 760 sq.m and an unsullied flow of interior design including an expansive shaded terrace that links the living area to a large infinity swimming pool and integrated Jacuzzi. With additional services and management by Banyan Tree, owners are sure to benefit from the lifestyle experience that comes with ownership. Whilst the current Banyan Tree Residences are lifestyle investment properties located in Phuket and Bangkok, Thailand, the Seychelles, Lijiang and Huangshan, China, Bintan and Bali, Indonesia, Cabo Marqués and Mayakoba, Mexico, and L?ng Cô, Vietnam; Banyan Tree Grand Residences is the very first fully residential property by Banyan Tree in Thailand. “There has always been a demand for beautiful primary and secondary homes in prime locations by reputable developers in Phuket, and we have been developing a range of properties to meet demands for those who desire ownership within a safe and secure location such as Laguna Phuket. Over the past few years, we have been receiving a lot of enquiries for high end, luxury fully residential homes within the resort, with professional management services. We believe the Banyan Tree Grand Residences with its incredible location overlooking the lagoons and only a short distance to Bang Tao beach with all the advantages of the Banyan Tree’s international standard of services and infrastructure will help to meet those demands.” said Mr. Stuart Reading, the Head of Banyan Tree’s Property division. Banyan Tree Group, a renowned Asian brand founded in 1994, is synonymous with prestige and lavishness. In 2006, Banyan Tree Holdings became a listed company on the Singapore Stock Exchange.